Simply stated is a division of Auto Protection Alliance and was developed to be the hub of communication between the consumer and the Administrator providing the coverage. 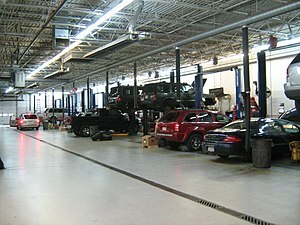 All vehicle service contracts are handled by the Auto processing Center for Auto Protection Alliance . Located in gorgeous Garden Grove California , the team occupies a new spacious office where customer service and sales are conducted . We are setting new standards in the vehicle service contract industry. Before we came onto the scene, consumers had very limited choices for a service contract, to pay the over-inflated prices from that of a dealer, or to get single nameless policy offered by some telemarketing company. The founders of Auto Protection Alliance wanted to give the public what it wasn’t getting anywhere else: Choices. And not just some choice, a lot of choices. The average car qualifies for more than 75 service contract options, of various terms, prices, and from multiple companies. For our customers, we don’t believe in one size fits all. Instead, we believe you deserve a protection plan that matches as closely as possible to your exact needs and wants. Prior to Auto Protection Alliance starting, multiple service contract options were either hard to find, or nonexistent. Now, they are all available after a few keystrokes, under one roof. The founders of Auto Protection Alliance saw that service contract companies not associated with dealerships limited customers to only one plan, usually of poor quality, but with a high price. If customers didn’t go that route, they would return to the dealership and pay a premium for a plan that helped dealers make up for the often low profits on new cars. Why not bring together service contract companies with the best reputations, that have been around the longest, and offer them to consumers at the lowest possible prices?